This is our guide to running in São Paulo, home to over 12 million people and the most populous city in the Southern Hemisphere. Thanks to its rich heritage and history, tourists flock to this cosmopolitan city to experience a unique taste of Brazil’s cultural significance. 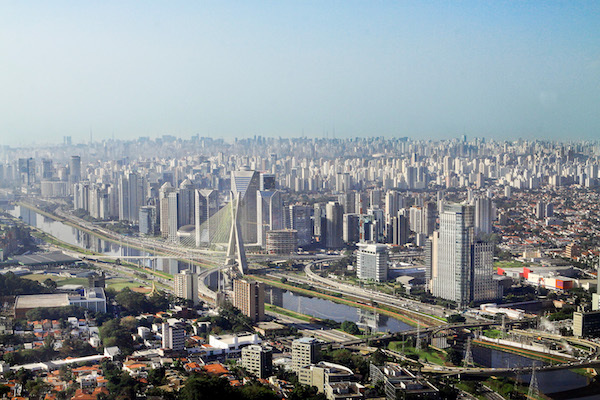 A growing industrial center of Latin America, São Paulo has recently become Brazil’s wealthiest city. 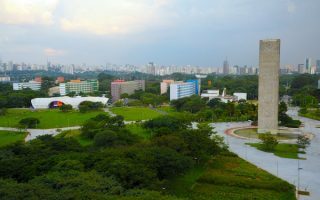 Industrialization aside, São Paulo also offers many options for quality running routes with many large parks and green areas perfect for nature-filled runs in the middle of a large city. Many of the busy roads of the city include running/cycling paths at their center, providing for safe, lengthy routes. Some running highlights include Ibirapuera Park, Parque Villa Lobos, and University of São Paulo. 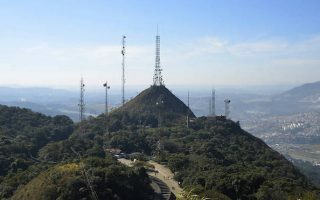 For a great hill run, head to the Pico de Jaragua! 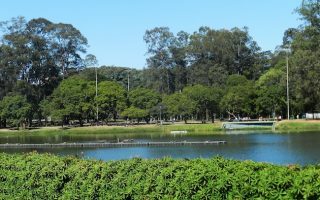 The best neighborhoods for running are: Alto de Pinheiros (Parque Villa Lobos, paths along the water, Univ. 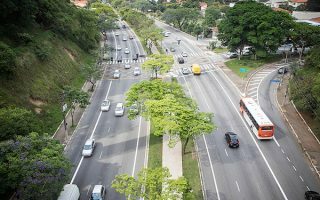 of São Paulo nearby; the Jardim Europa (paths along the river, some pleasant streets, and Ibirapuera Park); and the Pacaembu area, including Av. Sumaré and some of the streets east of it. The city site on a plateau at 2,600 feet and is 70 km from the ocean. The city is divided into 32 boroughs, with most of major economic and tourist facilities in an area officially called Centro Expandido (“Broad Centre”, or “Broad Downtown”), which includes Sé and several other boroughs. This huge and sprawling city has significant congestion. Public transport consists of a six-line metro, a suburban rail system (CPTM), and a fast-lane bus system, called “Passa Rápido”. One of Latin America’s largest city parks, with many natural and cultural sites. Follow one of the four mapped running courses or create your own! There are lovely paths, gardens, bike paths, several museums and interesting buildings. A centrally located road accessing many of São Paulo's interesting points, in the Perdizes neighborhood. Busy, but with bike/pedestrian path along the center of the road. It's about 6.5 km out and back between Allianz Stadium and the Av. Paulo VI end. 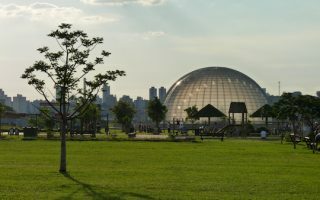 Parque Villa-Lobos is one of São Paulo’s best outdoor leisure destinations. With running routes, biking routes, hiking trails and sports fields, the park offers many options for those looking for some activity. There are paths of 700 m to 2.1 km for running. One of the more popular places to run in São Paulo. There are many paths, small parks, and hills that are great for running. We've mapped out a 5.8 km loop around the campus perimeter, but there are lots of other good options. For those who would like to get some challenging hill running in, this 2.9 mile climb to the summit is tough but rewarding. Great views from the top. One can run on the road or numerous trails in the park if a more technical route is preferred. 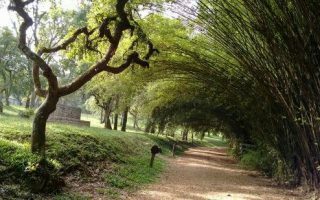 Park in the eastern part of São Paulo, with several km of trails. Many trees and shade. Attractions include a natural amphitheater, a cherry tree grove, and the Arthur Etzel Nursery. 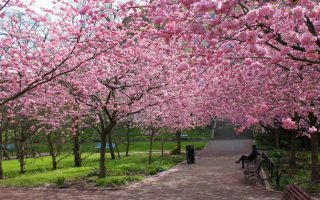 Come during cherry blossom season in July -- beautiful but crowded! A municipal park about 30 km west of the city with numerous paths that are great for running. A combination of open lawns and wooded trails. Lovely vegetation. A loop around the perimeter paths is about 4 km. Large state park north of São Paulo, with remnants of the Atlantic Forest. Some good, but challenging, running and trail running opportunities. 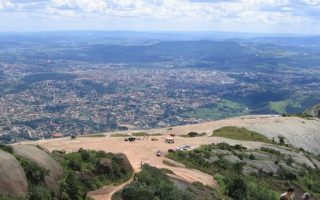 A highlight is the walk/hike/run to Pedra Grande, at 3,100 feet, which is a 935 foot elevation gain over 2.4 miles. 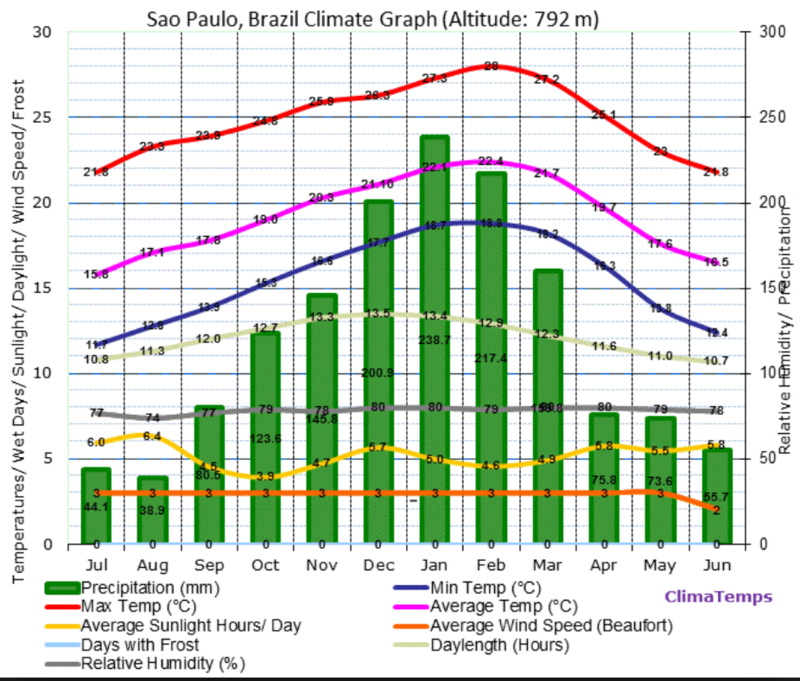 Sao Paulo has a humid subtropical climate, with average temperatures similar to Sydney and Shanghai. Summers (December-March) are warm to hot, with average highs around 80F (27C) and warm nights. Winds coming from the ocean can cool things down. Winters are temperate, with average high temps of 70F (21C), and nights in the 50s (12C). Rainfall is plentiful, especially in summer, with frequent storms. Winters are drier. The city’s elevation and winds coming from the ocean influences the weather, which can be very changeable. São Paolo International Marathon 10K, 25K, or Full Marathon. April.